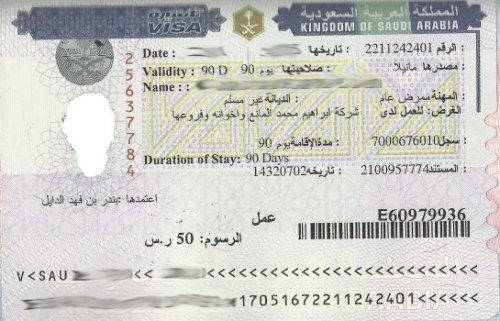 A visa is required to travel to the Kingdom of Saudi Arabia. At Visa Logistics, we understand the dire implication of lost time when it comes to obtaining visas to travel overseas. This is often due to a communication breakdown, not having the appropriate forms and requirements on hand, incorrect visa fees, and insufficient time to obtain the visa - just to name a few. Our high standards of customer service and years of experience enable us to support all of your visa information and processing needs. We will answer any questions you have, supply all visa forms and requirements, provide a free visa pre-check, pickup and deliver your​ passport and application. All the while providing you with status updates on your application's progress. Official invite from the Saudi Ministry of Foreign Affairs (MOFA) The person you are visiting in Saudi Arabia must contact the MOFA to have an invite issued. Completed Saudi Arabia Visitor Visa Application form. Official invite from the Saudi Chamber of Commerce of Ministry of Foreign Affairs. The company you are visiting in Saudi Arabia must contact their counterparts to have an invite issued. Completed Saudi Arabia Business visa application form. This visa is issued to the immediate relatives of those who are currently working in Saudi Arabia. In order to obtain a family visit visa, proof of relationship, such as marriage or birth certificates, should be produced. To get a family visit visa for their family, employees need the help of their employer, which will need to provide a letter. As with the residency visa, the approval of this visa can only be obtained from the Department of Foreign Affairs in Saudi Arabia. Official invite from the Saudi Chamber of Commerce of Ministry of Foreign Affairs The company you are visiting in Saudi Arabia must contact their counterparts to have an invite issued. Completed Saudi Arabia work visa application form. Medical Reported attested by the FCO. From October 14 2015, a new resident ID card called the Muqueem will replace the Iqama. This will provide work and residency authorisation. It is expected to be valid for five years and will be electronically renewable each year. It is essential to note that all business in Saudi Arabia is conducted according to the Islamic calendar, which is days shorter than the Gregorian calendar that most Westerners are familiar with. This is also the case for the overall length of the visa. It is important that visitors understand when they are required to leave Saudi Arabia because overstaying the visa for as little as 24 hours could lead to serious consequences. 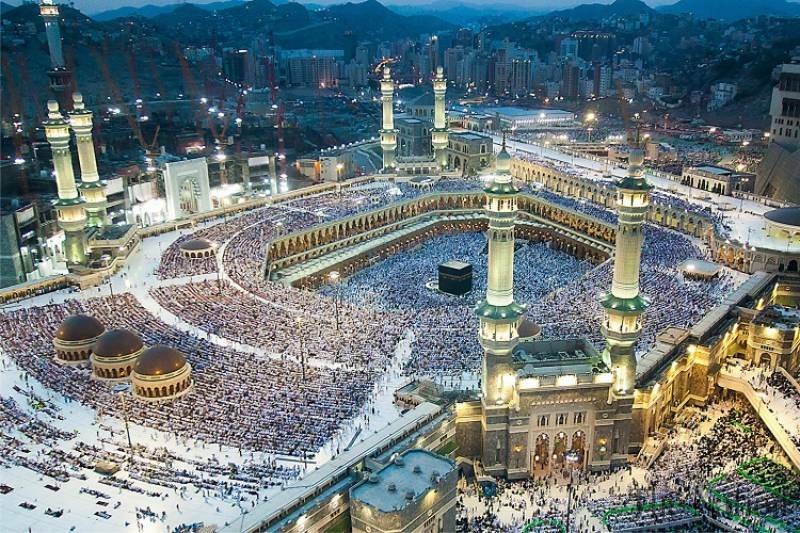 Mecca, in a desert valley in western Saudi Arabia, is Islam’s holiest city, as it’s the birthplace of the Prophet Muhammad and the faith itself. Only Muslims are allowed in the city, with millions arriving for the annual Hajj (pilgrimage). Dating from the 7th century, the central Masjid al-Haram (Sacred Mosque) surrounds the Kaaba, the cloth-covered cubic structure that’s Islam’s most sacred shrine. Jeddah, a Saudi Arabian port city on the Red Sea, is a modern commercial hub and gateway for pilgrimages to the Islamic holy cities Mecca and Medina. Resort hotels, beaches and outdoor sculptures line the Corniche, a seafront promenade anchored by the iconic King Fahd’s Fountain. The city’s Al-Balad historic district dates to the 7th century and retains traditional homes built from coral. Al Khobar is a large city located in the Eastern Province of the Kingdom of Saudi Arabia on the coast of the Persian Gulf. It is one of the largest cities in the Gulf Cooperation Council, with a population of 941,358 as of 2012. Dammam is the capital of Eastern Province, Saudi Arabia. The judicial and administrative bodies of the province, plus several government departments, are located in the city. Yanbu' al Bahr, also known simply as Yanbu, Yambo or Yenbo, is a major Red Sea port in the Al Madinah province of western Saudi Arabia. It is approximately 300 kilometers northwest of Jeddah. The population is 188,430. Mada'in Saleh, also called Al-Hijr or Hegra, is a pre-Islamic archaeological site located in the Al-Ula sector, within the Al Madinah Region of Saudi Arabia. A majority of the vestiges date from the Nabatean kingdom. No other country in the world is as misunderstood as the Kingdom of Saudi Arabia, and perhaps no other country – rich with culture, heritage, and natural beauty – is as worthy of a visit. It is more than a harsh desert (though the sands it does boast include the Empty Quarter, a beautiful expanse of undulating dunes unlike anywhere in the world), it is a country with many areas of beautiful oases and dramatic mountain-tops, beaches and rivers. There are also the untamed stretches of Red Sea coast in the west of the country, southwestern mountain towns such as Taif, plus the ancient history in the north, where the town of Al Ula serves as the gateway to Medain Saleh, a collection of stone dwellings as magnificent as Petra. Then there are the cosmopolitan city centres of Jeddah, the Red Sea port; Riyadh, the throbbing central capital; and Gulf-side Dammam, the large city in the east. All feature chic cafés and top-notch restaurants. There are shops galore, from traditional souks to glittering malls with all the latest fashions. Hotels are being built at a rapid clip, and each seems to feature a chef of ever-increasing pedigree. For the tourist interested in religion, few other countries are as rich in historical sites as Saudi Arabia. 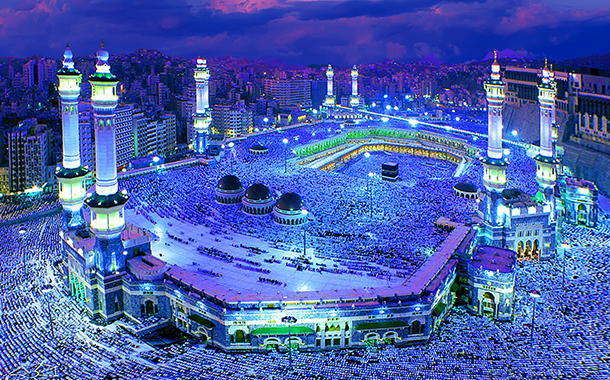 As the birthplace of the Prophet Muhammad, Saudi Arabia is home the two holiest sites in Islam: The Grand Mosque in Mecca and the Prophet’s Mosque in Medina (although these are off-limits to non-Muslims). The Saudis take pride in protecting the integrity of this holy land and Islamic laws are strictly enforced by the mutawwa (religious police). To a novice visitor, Saudi Arabia can seem like a daunting place for a vacation, and it certainly pays to swot up on cultural rules (such as women not being allowed to drive) before you arrive. But for the intrepid traveller, this is a complex country with much to offer. 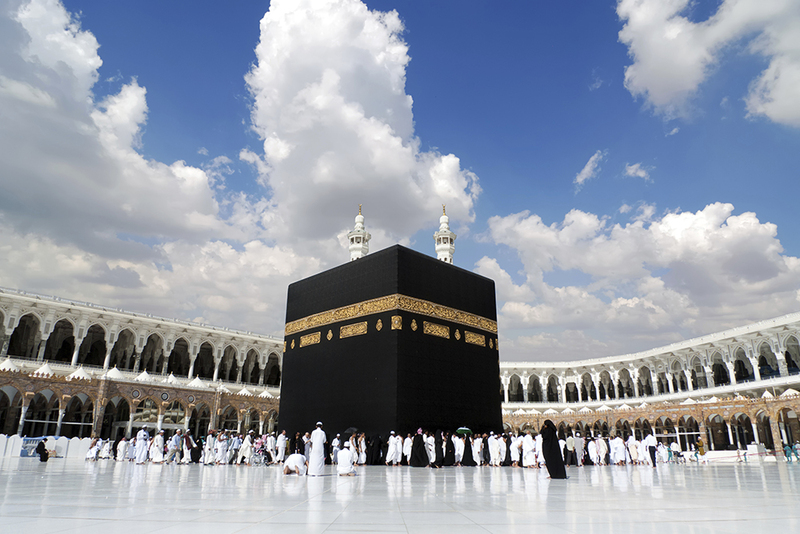 Islam is the official religion in Saudi Arabia, and is the corner stone of the government and justice system. It is based on five pillars: Profession of faith, Prayer, Fasting, Charity and Pilgrimage. You must be in possession of a valid US passport and have at least 6 months of validity from the time you will enter Saudi Arabia in order to be eligible for a KSA work visa. What if my passport has been renewed since starting the visa application process? All the visa pages in my passport already have stamps on them, what do I do? We can assist you in having additional pages added to your passport; this will not affect any of the information need to process your application, however additional services fees may be applied. Do I need to write in any of the information in the first four (4) pages of my passport? What if my passport has been damaged? Do I need to send my actual passport or just a copy?